T62DBW. 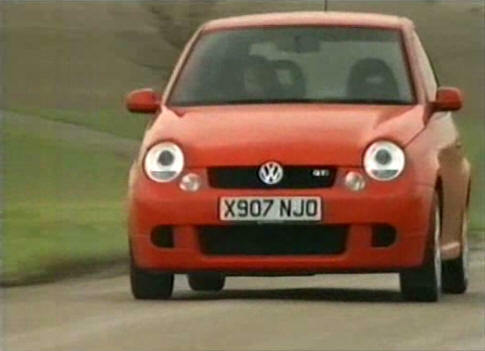 As appeared in Volkswagen Audi car magazine and Top Gear Mini Test (August 1999). 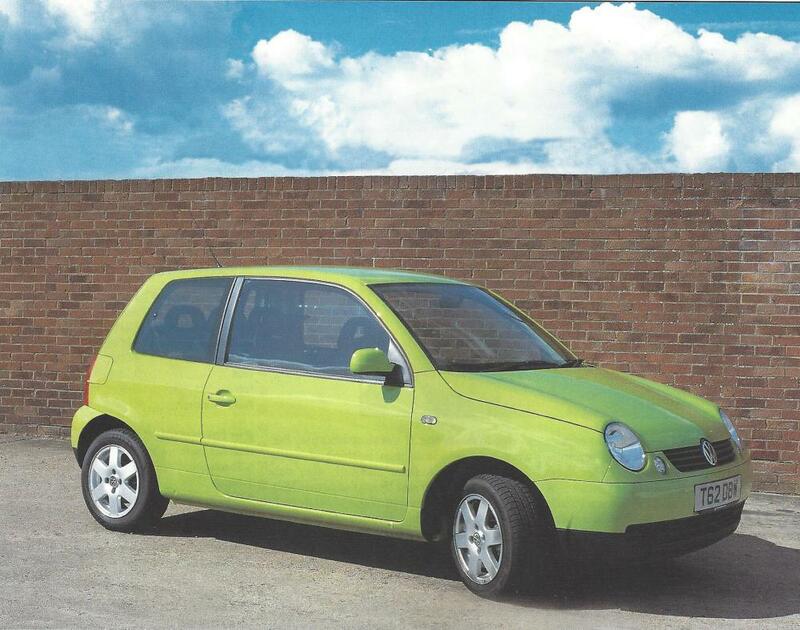 It is a 1.4s with a rare three seater bench seat fitted and heated front seats. UPDATE - Since found a current picture of the car. It still retains its original 3 seater bench seat. 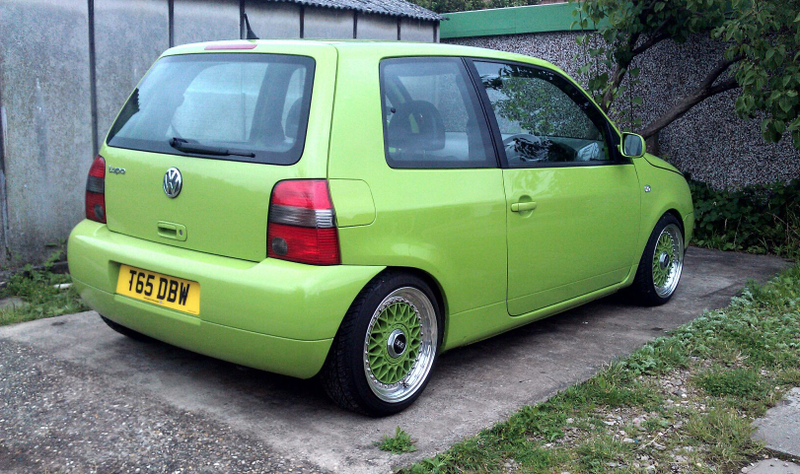 But It looks like it has been modified with lowered suspension and 15" wheels (according to advert). Pic since added. Advert is on last post. Needs a new gearbox..
X554CBW. 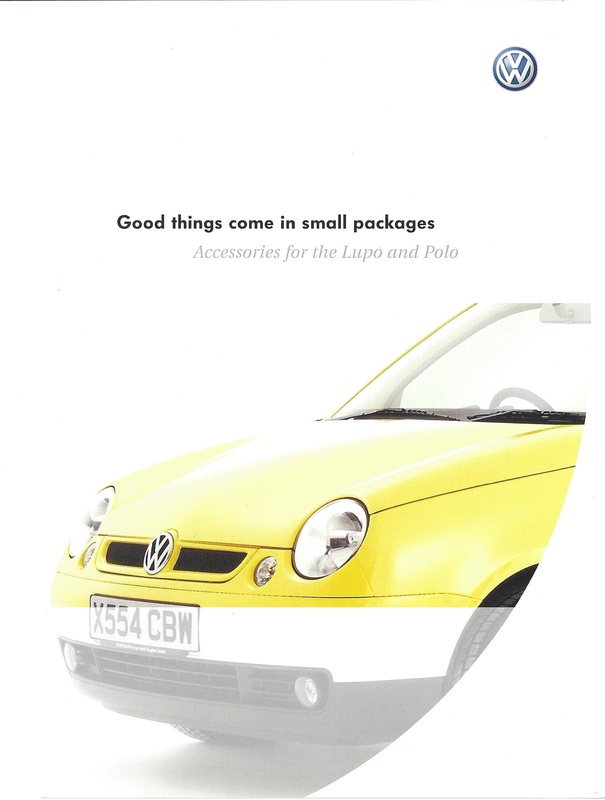 As appeared on a VW accessories brochure. It is a 1.4 Sport. Sorn since 2013. 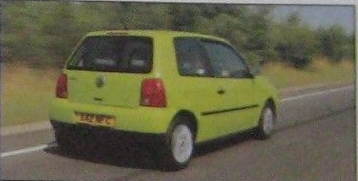 It had a votex grill (similar to ABT) and spoiler fitted as an option. MAJOR UPDATE 11/3/2018. See last page of thread. Also this had light grey interior. X904NJO. As appeared in What Car? April 2001 against a Citroen saxo. Also appeared in Car Magazine April 2001 against a Peugeot 106 gti. Still on the road as of 5/10/2017. X907NJO. 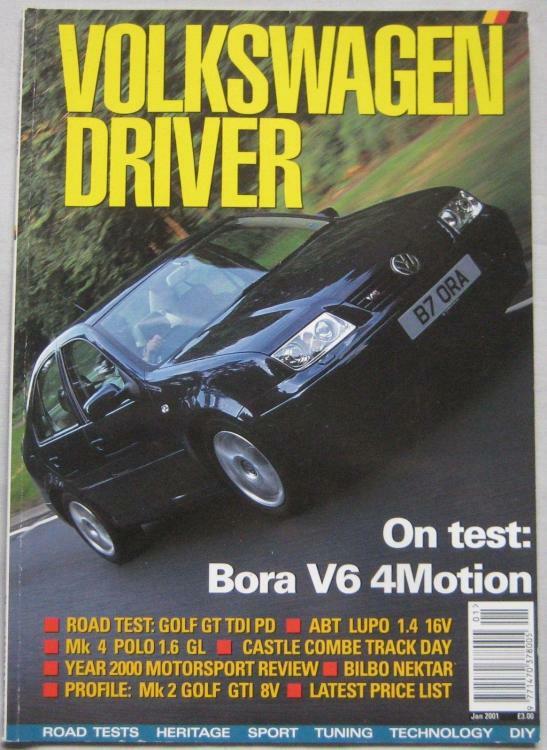 As appeared on old top gear with Vikki Butler Henderson testing it and several magazine articles (probably the most well known). 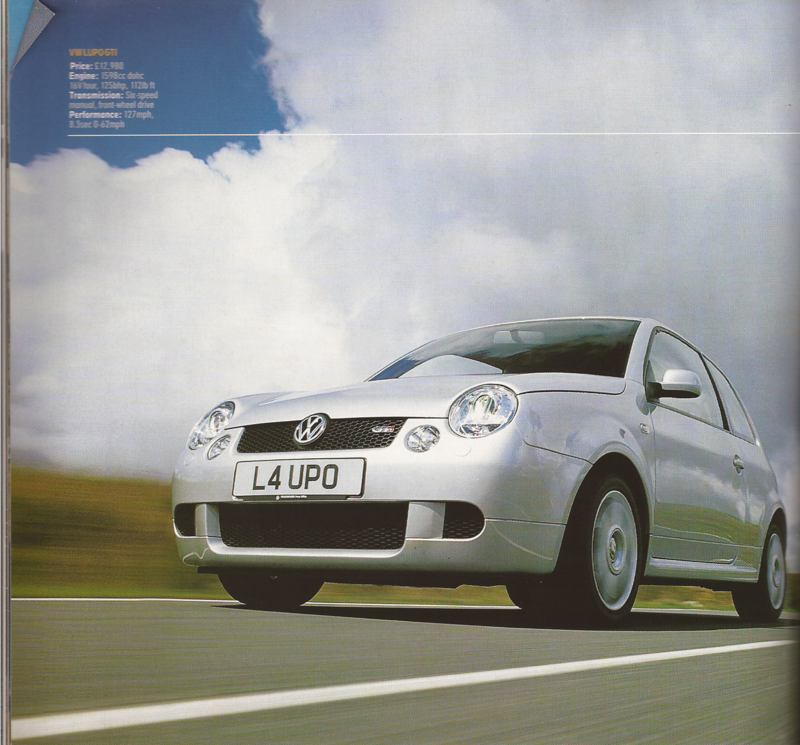 Also appeared in the last article about the Lupo Gti (autoexpress 24th January 2006 "Canned but able"). 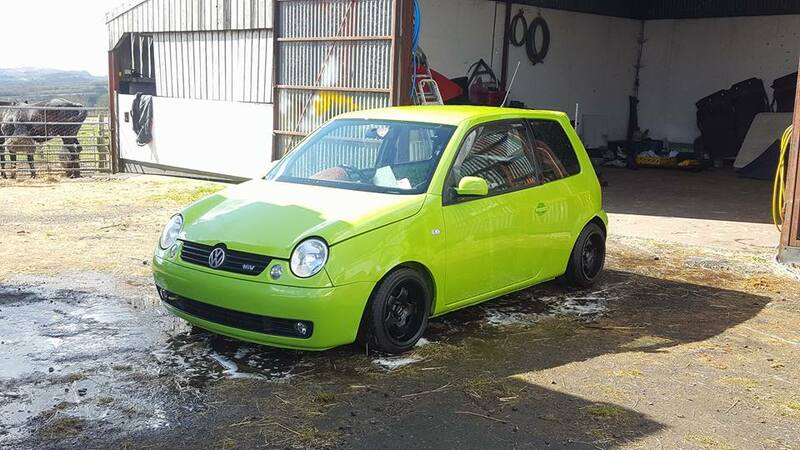 It is a 1.6 GTi. Been off the road since 2009. Y924DWL. 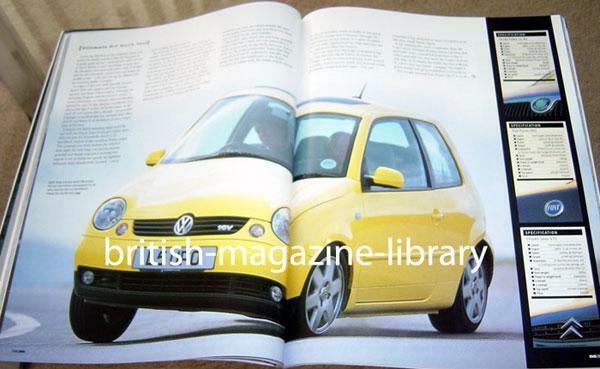 As appeared on Men and Motors being tested by Richard Hammond. 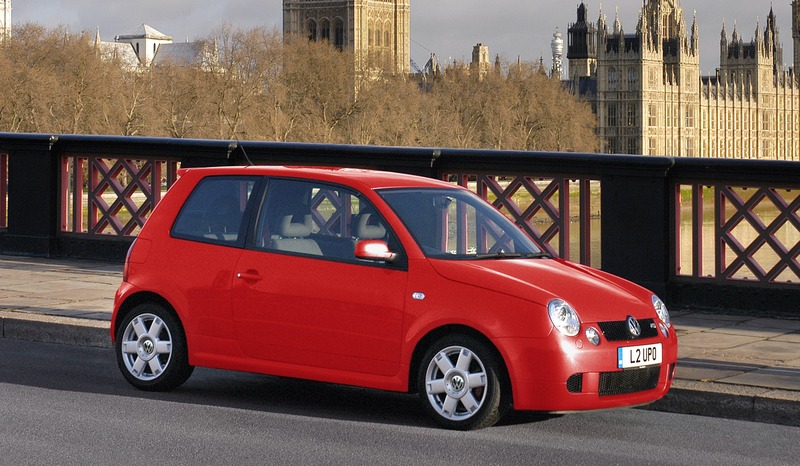 It is a 1.6Gti. It had leather interior fitted. Still on the road as of 29/12/2018. Update. After running through the registration plate through a free check it came up with a private plate. 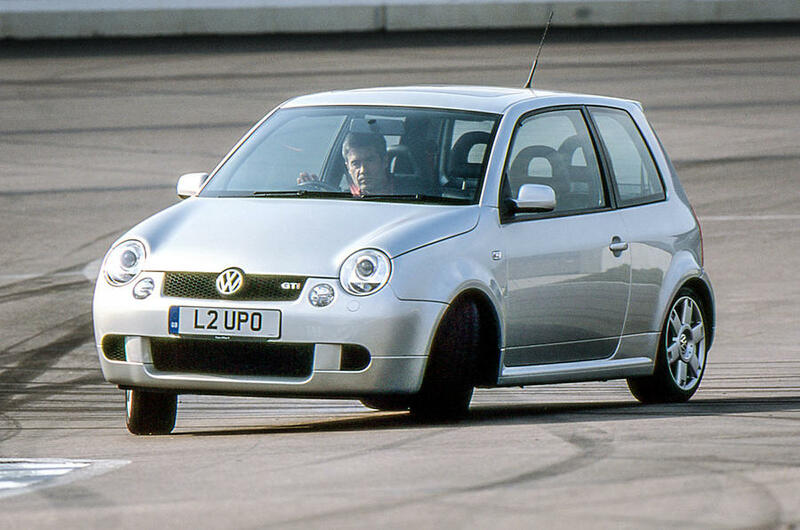 It turns out it was Alex's (Aka Fatttty) old gti. Here is the build thread for this. Update 2 - Since found out this was EVO's fast fleet car. I have seen one pic of this but I have not copys of the magazine as of yet. Update 3 - it was another members on here. Goes by the name of DB and ran a private L7PCY. I did find the orignal thread but there is few photos. Y938DWL. 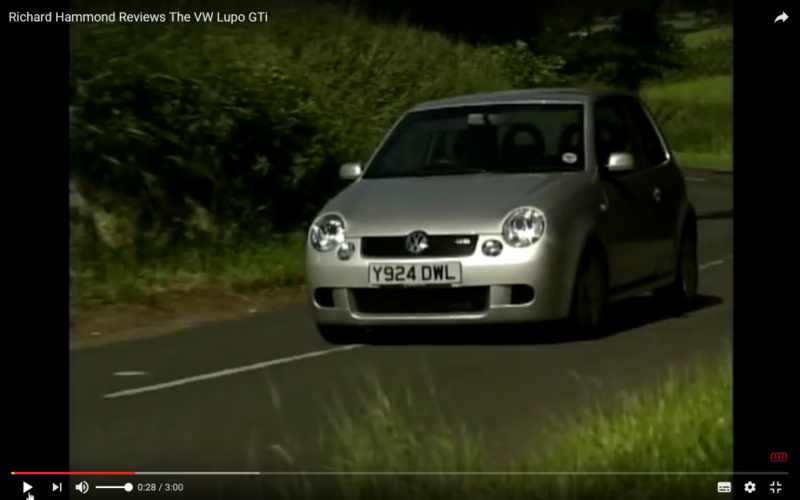 As appeared in Autocar Vw Lupo Gti vs Vw Golf Mk1 gti and Autocar MG ZR vs Lupo Gti. Did a regcheck and came back as nothing. Could be scrapped or on a private plate. V43RBW ***New find***. Thanks to James Bransley for this one. As featured in Autocar 20th October 1999. It is a Yellow Lupo Sport with Standard Tim and Tom interior. Also fitted with Nav unit (not available as an option in the UK I believe). The review was done at Dungness. Still on the road as of 29/12/2018. Any further info on this car would be appreciated. 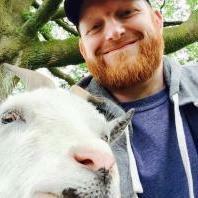 New Sources added . X904NJO, X907NJO and Y938DWL updated. 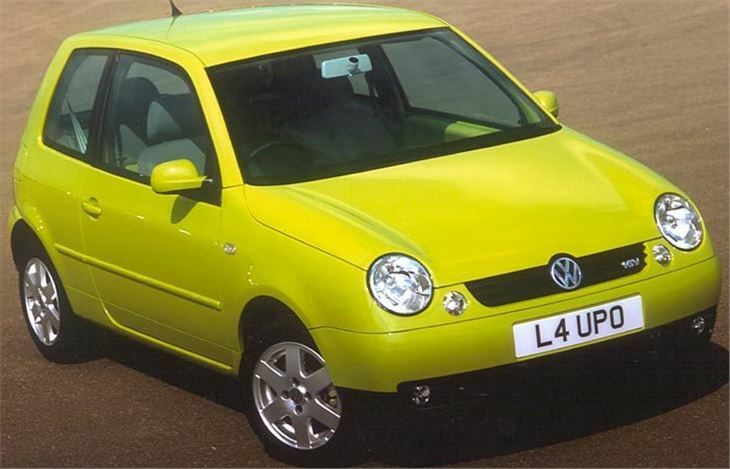 1st one is a green 1.4s as appeared on Men and Motors as tested by Richard Hammond, also it featured in July 2001 issue of Volkswagen Driver.. 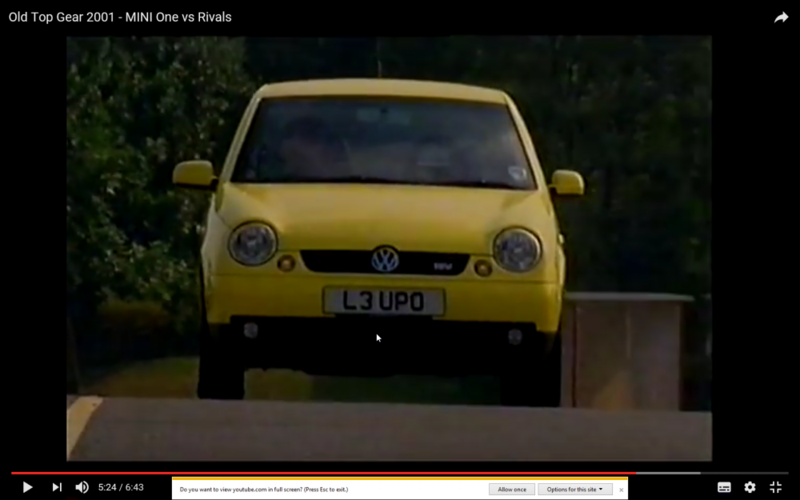 This one is probably the most unique lupo out there as from the video. I could see it had light grey leather interior with side air bag and solid headrest. This can possibly be the only of its type. 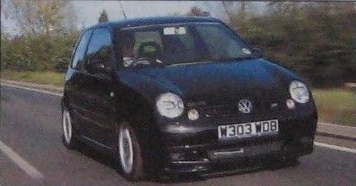 2nd one is a black Lupo Gti as appeared in press photography of the time. I can tell it is a Wolfsberg built car. I have seen a photo of the interior (on honest john website). and this car was specified with Aircon. 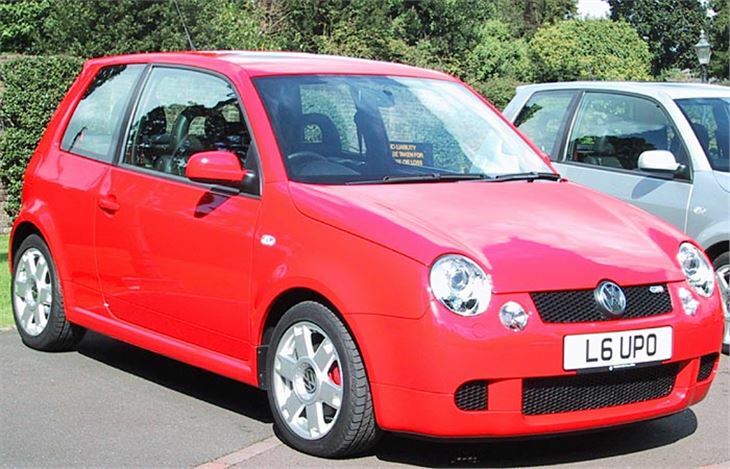 3rd one is a red lupo gti. As appeared on drive tribe. Another Wolfsberg built car. I don't have any further details on this one as I have no interior photos etc. 1st Car is a 1.4 Automatic as featured in What Car Magazine November 1999.Tested against a Toyota Yarris and a fiat cinquecento. Believed to be a S spec because of side trims. 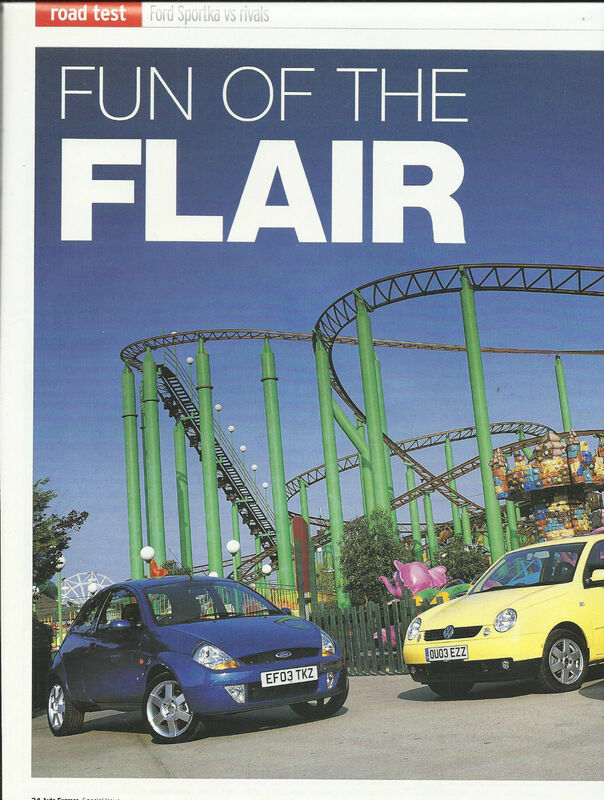 Also a small picture appeared in Autocar 20th October 1999, but on a flyer inside. 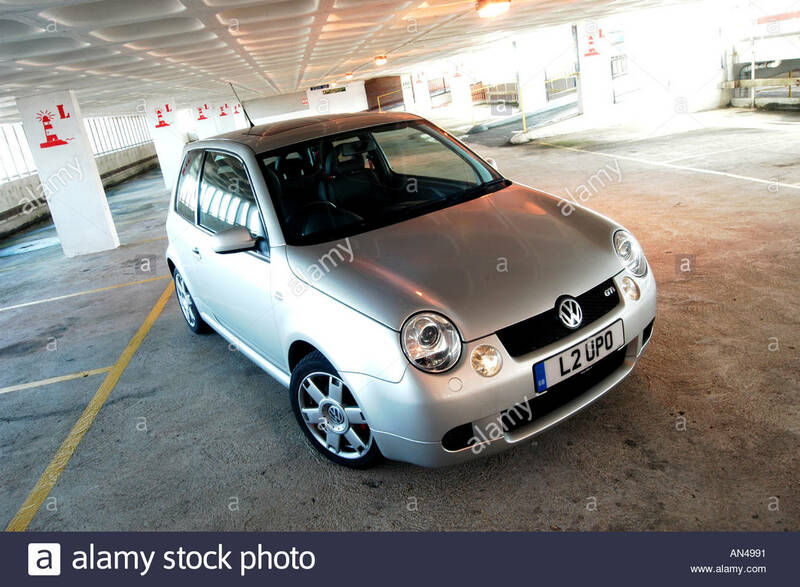 It is under "Car Price Index"
3rd car is a 1.4 tdi lupo in blue as used by Jeremy Clarkson in the TDi vs petrol challenge (Top Gear) and it was featured on men and motors show car file in a review by Brendan Coogan. It also has a sunroof fitted and aircon. The last I heard of this car it was in Northern Ireland. The member was R-P who owned it. After reviewing the thread he go an offical response from Vw confirming what it was. He did post pics at the time but these has since gone down. But the response in the attached thread. Updated. 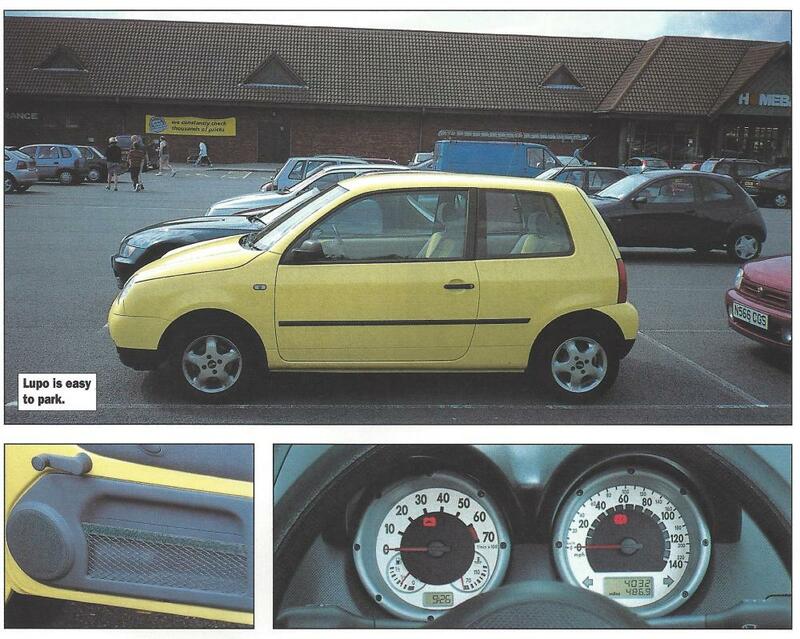 1st car is a Yellow 1.0. As found on parkers It had a 1ltr engine fitted. Also probably the earliest use of this plate as the headrests are solid (standard on early lupos). Update 1. 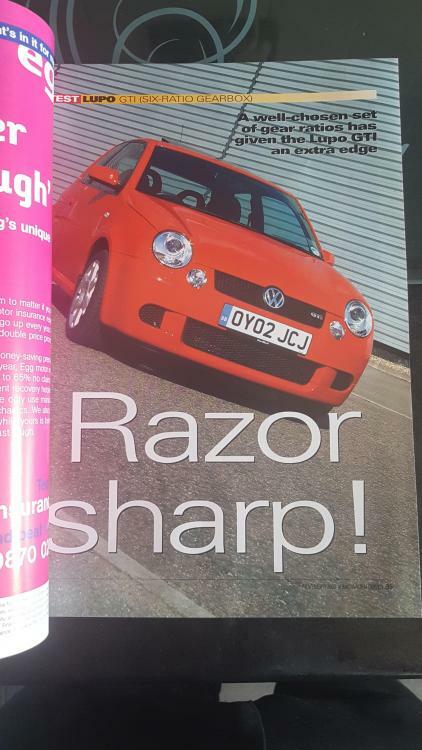 Also as featured in Volkswagen Audi Car magazine. However a slight change was added in that it was fitted with Sport Raider wheels. 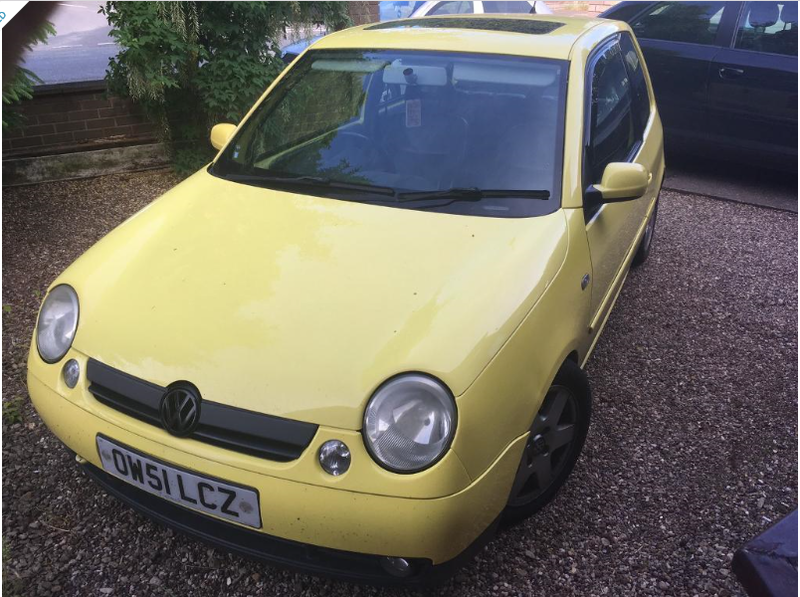 Whether this is the same lupo or not I cannot be 100% but there are too many similarities to say other wise (same interior etc). Update 2. 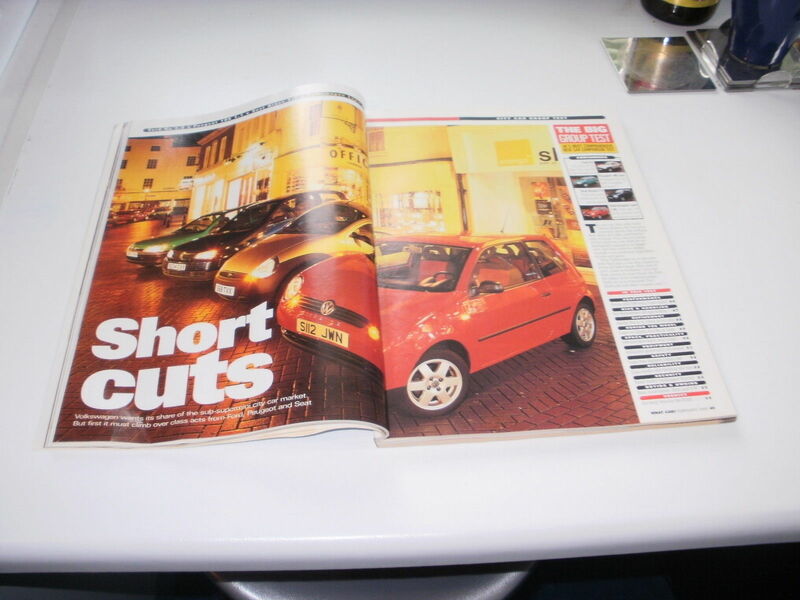 Was featured in Autocar March 1999 test by Chris Harrs no less and to confuse things more, also featured in Autocar 14th April 1999 as a different reg T51JEP. Now I am 99.9% confident this is the same car. 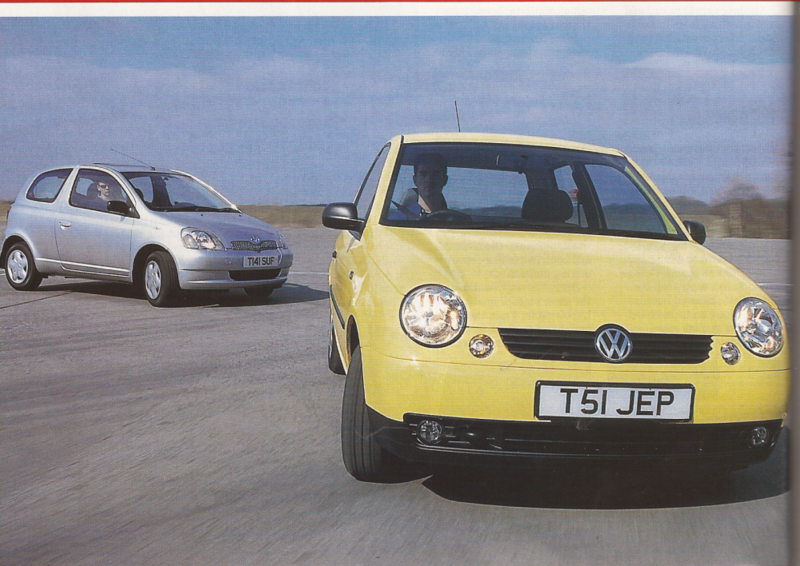 T51JEP is a plate that was used by auto car on various cars, in the March issue it was used on Silver Mini test to Spain. Pic of the car is now attached. Every detail I can see looks identical. Thanks to James Bransley for pointing this out. 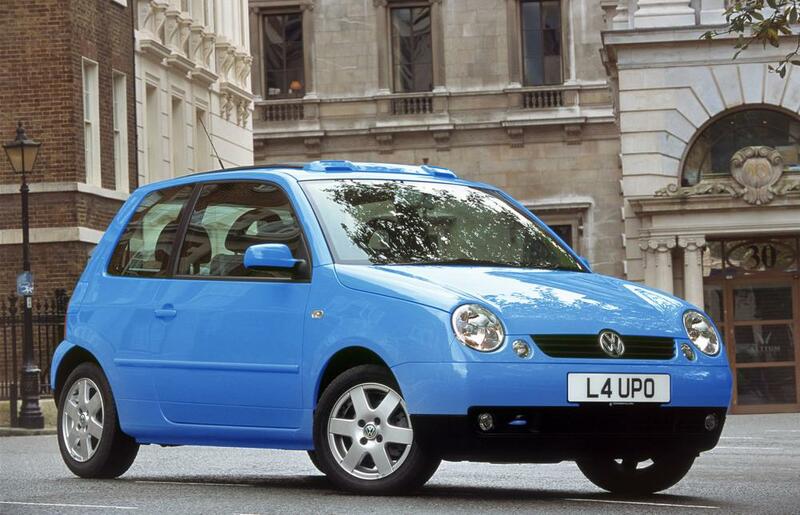 4th car is a blue 1.4 tdi lupo. As found on parkers. It has an open air sunroof, also leather interior too. 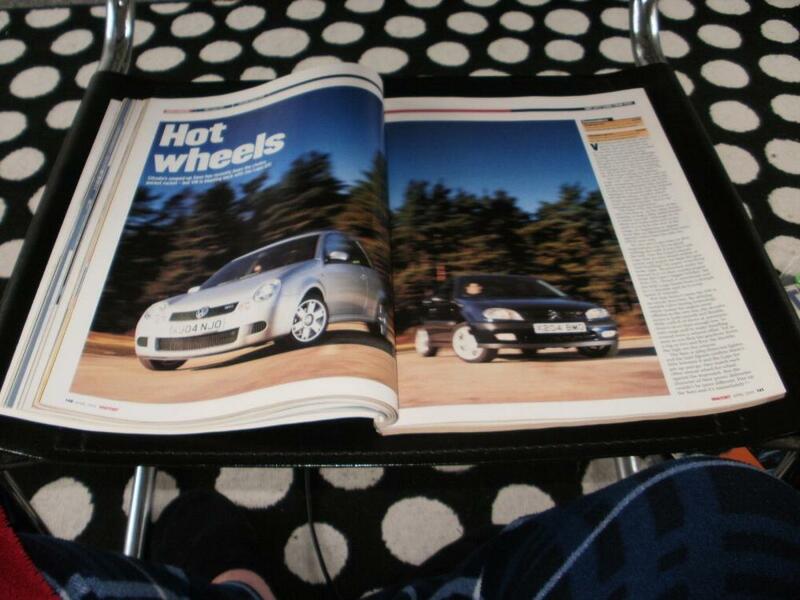 5th one (really yes) is a Silver Lupo Gti as featured in Car magazine October 2001 hot hatch of the year test. This car is fitted with a 6 speed transmission. 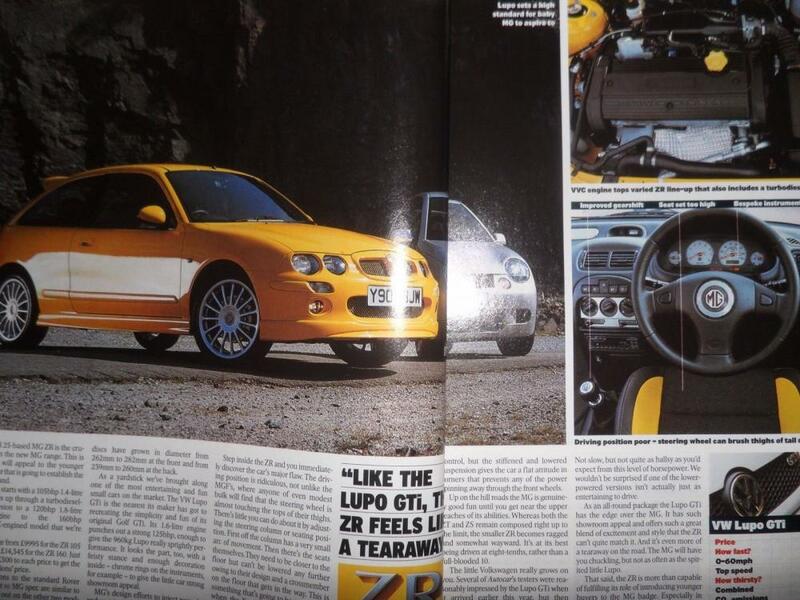 It did go through to the final 5 but it went against a Mini and a MG ZR. It does not look to have aircon fitted. Cannot tell regarding interior. Update to yellow 1.0e. Including confusing auto car history. 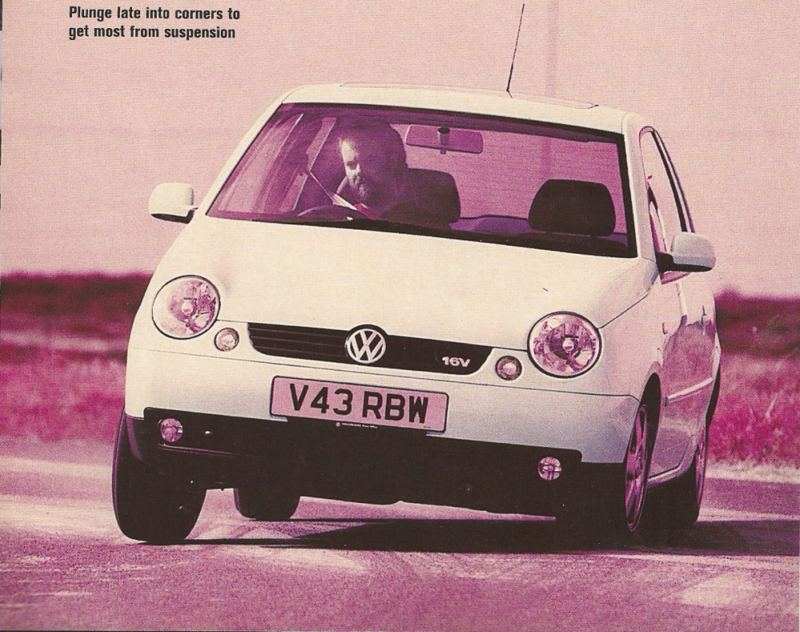 The first car (press photo found very recently, featured in Evo August 2000) was a bit of suspicion. I thought I'd do a free check. 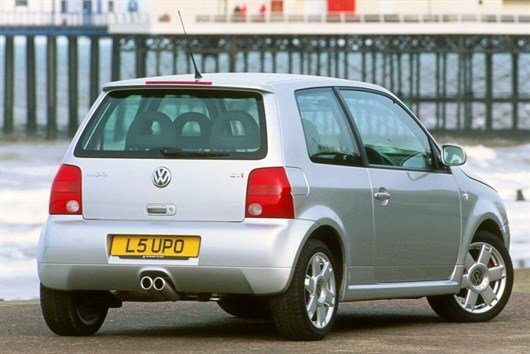 It came up as having a private plate L5upo fitted. Another press car. The reg is OW51LCZ. 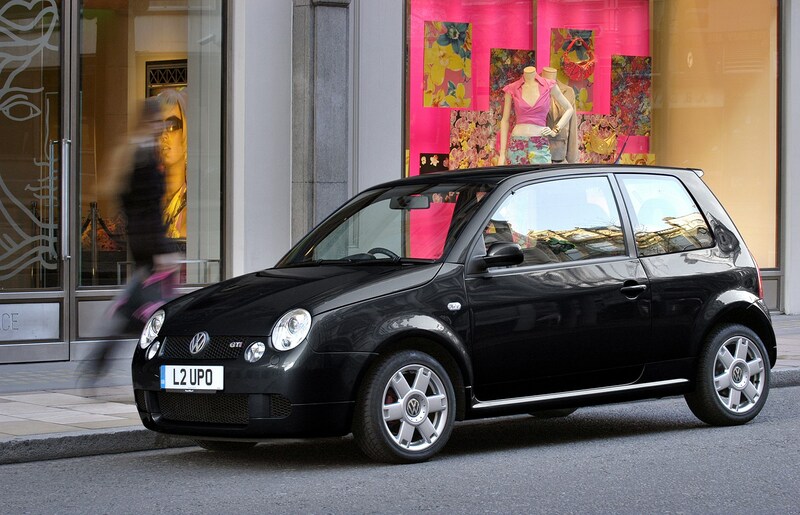 My suspicion came about because of the leather interior as I had one exactly like it (with side airbags etc). Here is a pic. 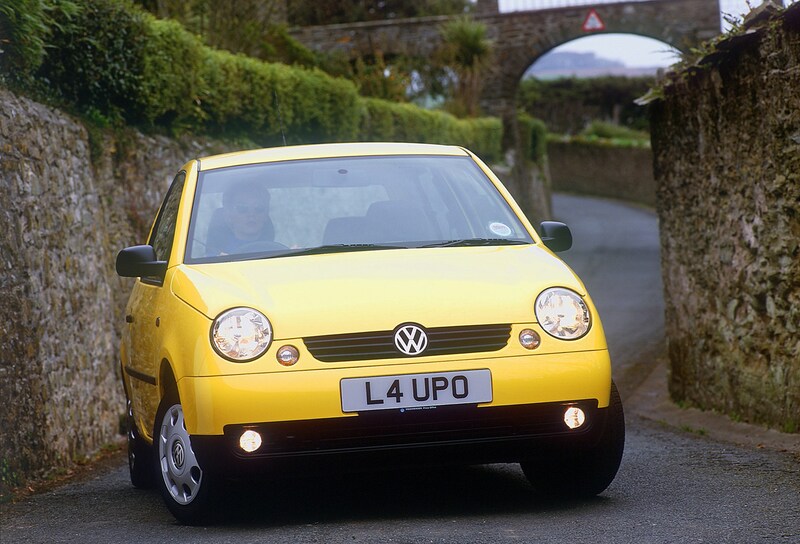 It was last used with the L5upo plate in June 2003. Off the road as off 29/12/2018. The owner is on Facebook but I am unsure of its current status. 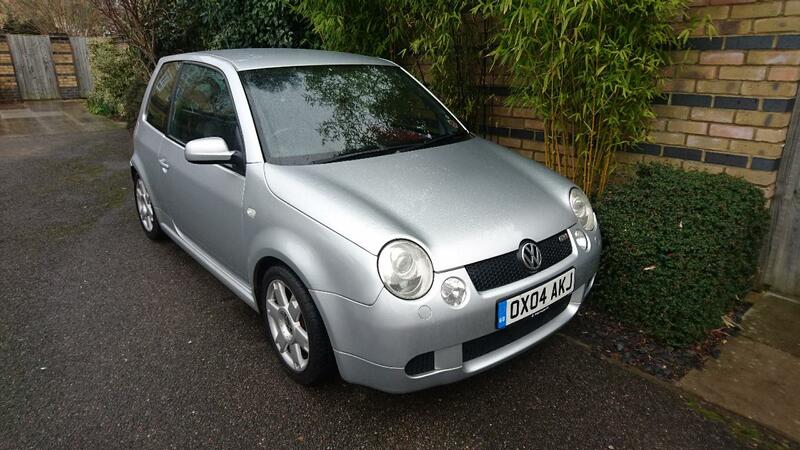 The 2nd car is a silver Lupo Gti and probably second well known to X907NJO. It is a Wolfsberg built car. As found on many websites including parkers. Cannot see any optional extras fitted. 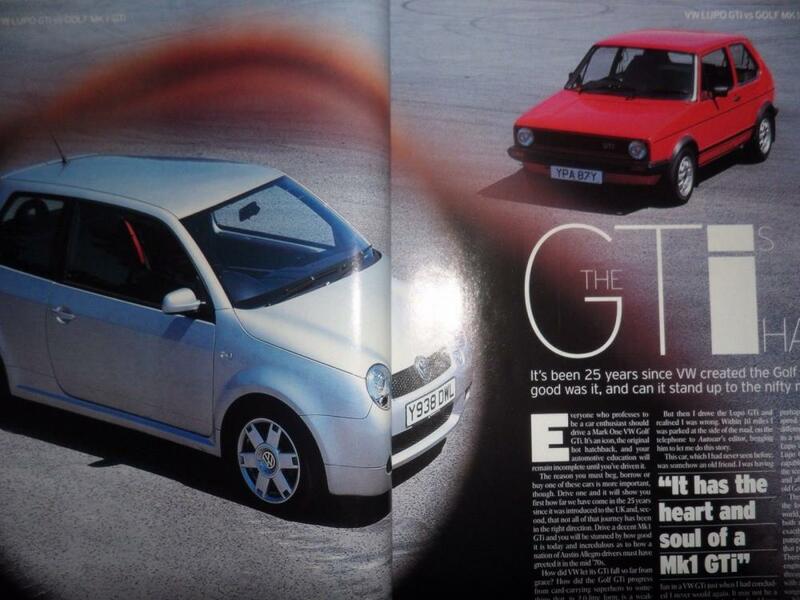 Also featured in "the golf magazine" and Vwm. From the pictures I have seen this car had no optional extras fitted. 1st car. New discovery. 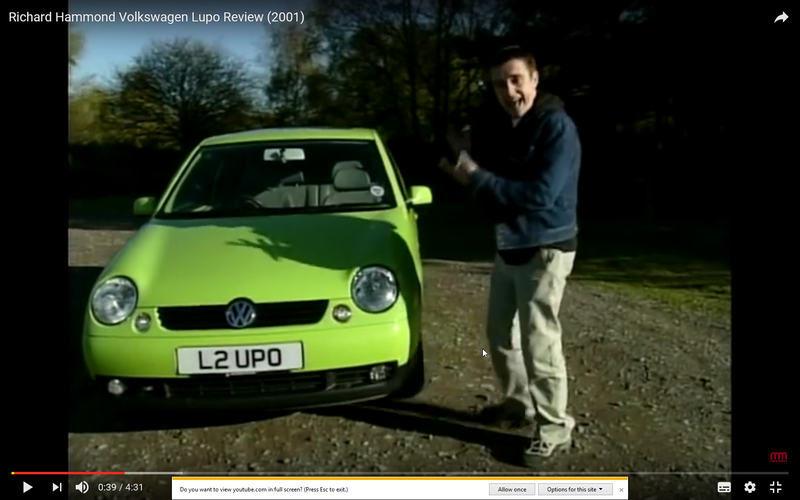 Whilst on the search for lupo open air cars. I found T65DBW. Now knowing T63DBW was a press car I made enquires and it came up this one had the L6upo plate. So another press car to the list. 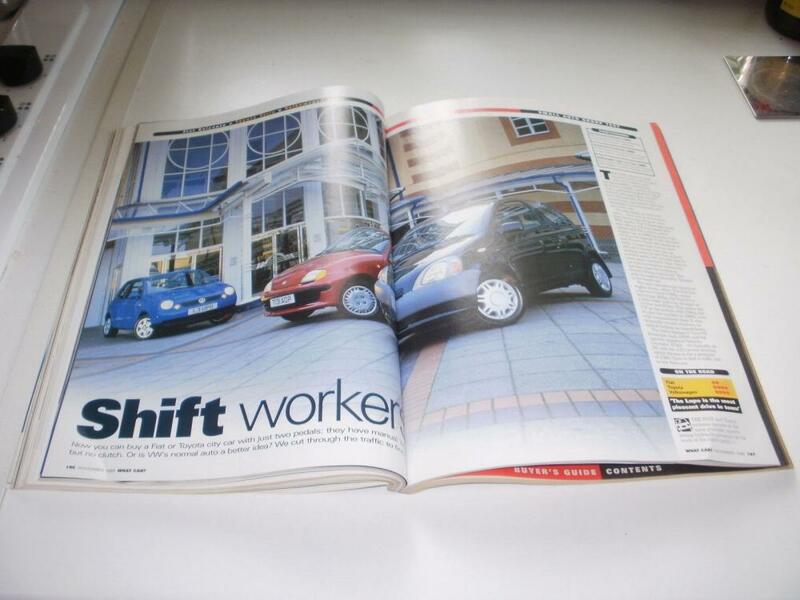 It did feature in Autocar magazine May 1999 and Top Gear Magazine October 1999. 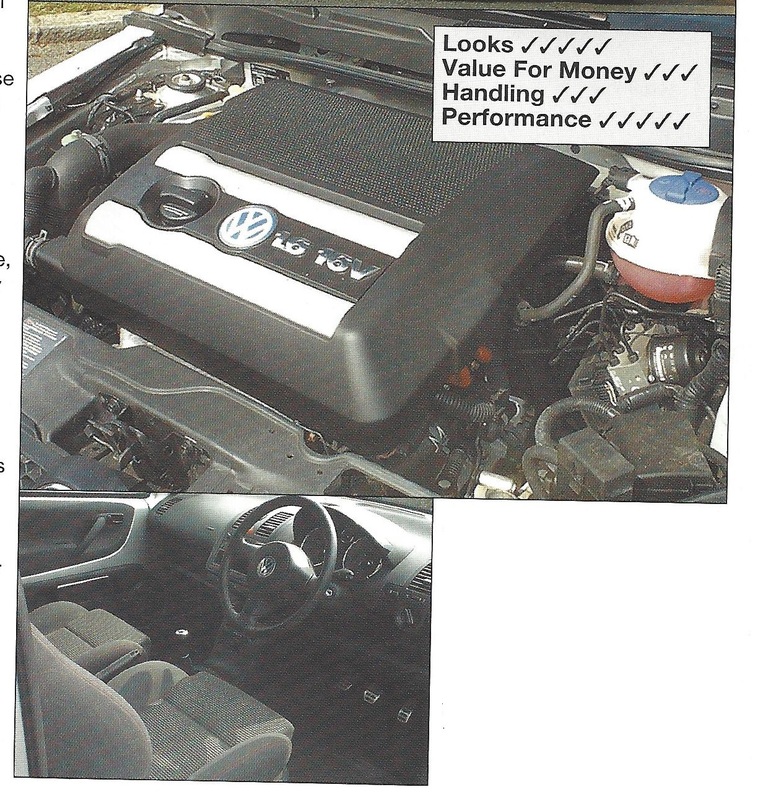 Autocar mentioned it included air conditioning and alloy wheels as optional extras. I have seen interior photos and it looks like a dark grey interior with green centres, with 3 seater bench seat, and it had heated seats installed too. It was last used on L6upo plate in April 2000. UPDATE. Currently for sale (31/3/2018). New pics on Page 3. 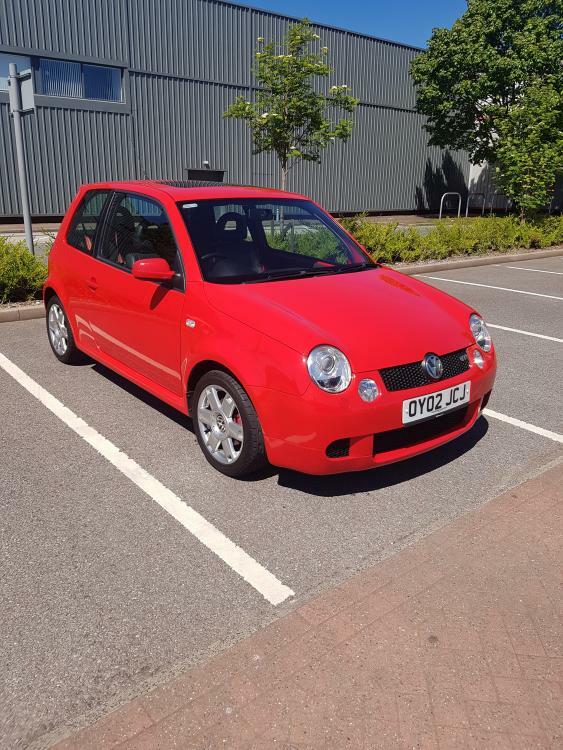 Has been fitted with leather interior from a gti or later sport at some point in its life. 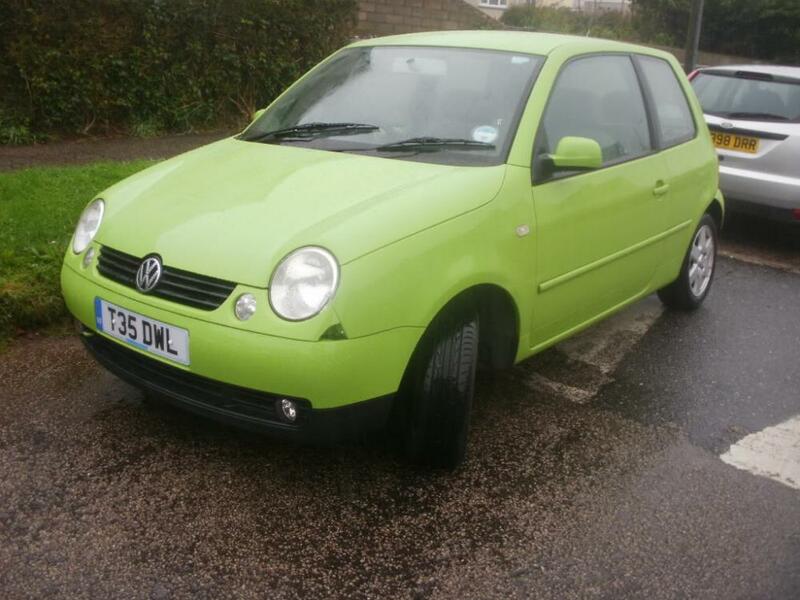 ***New Find *** 2nd car is a Blue Lupo Tdi. 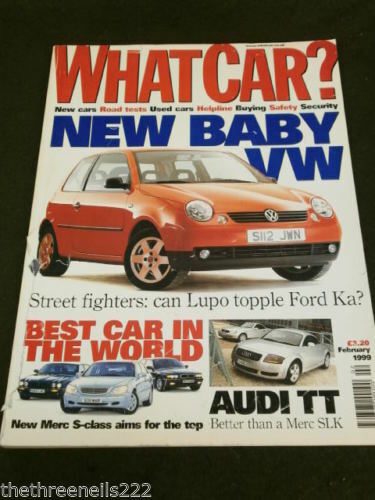 This I found whilst searching old Volkswagen Driver Magazines. Pic attached. 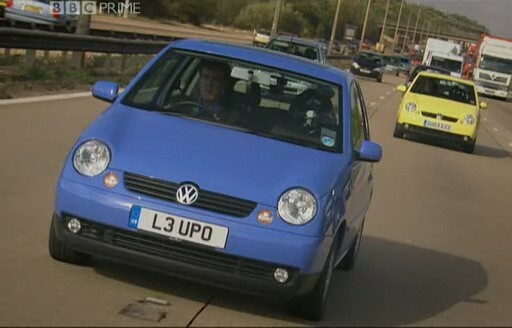 This car is not the same as L3upo or L4upo due to they had sunroof/ open air fitted. Also being a earlier tdi this would be fitted with Tim and Tom interior. 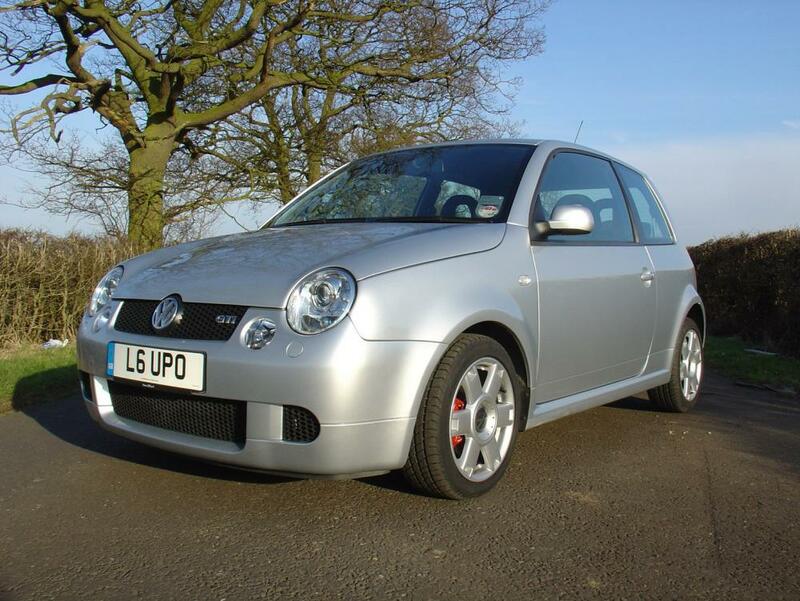 4th car is a silver lupo gti. A Belgium built car. As found on parkers. It has red interior and air con fitted. Parkers have a lot of pictures of this one. 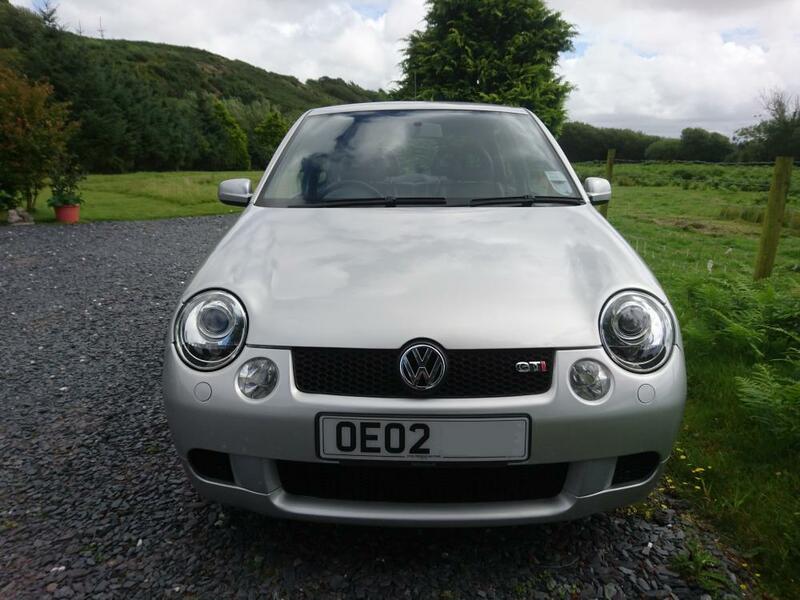 Update - plate for this car is ox04akj and us owned by a member called 'Blade'. Pictures to come shortly. Plate held from August 2004 to July 2005. Update. 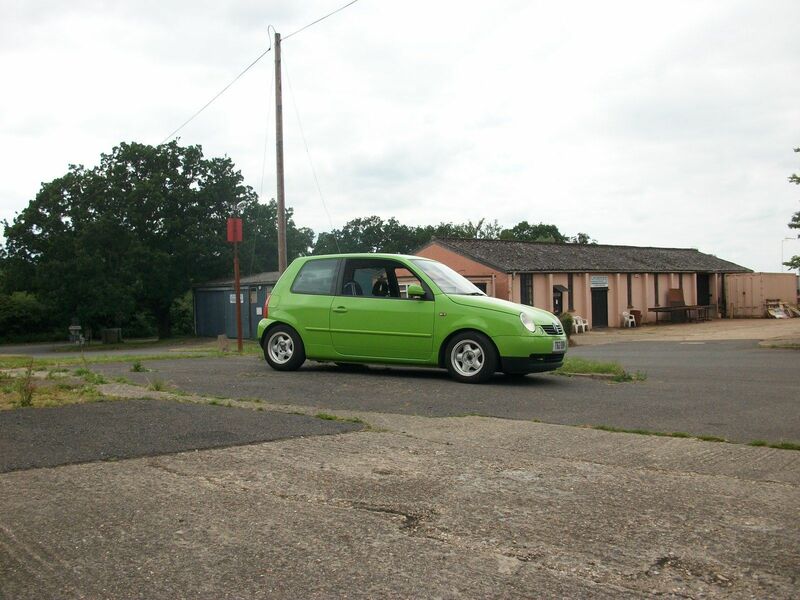 Pic supplied of the car thanks to blade. More pics on page 3. 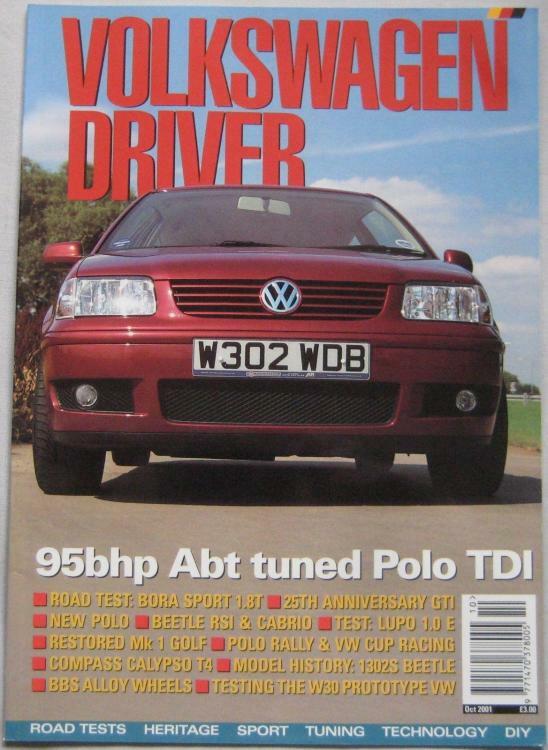 W303WDB (ABT Developed Lupo). Considering it does not fit in the above but fits perfectly here. I thought I'd put this find here. It was Developed by ABT for modification etc. 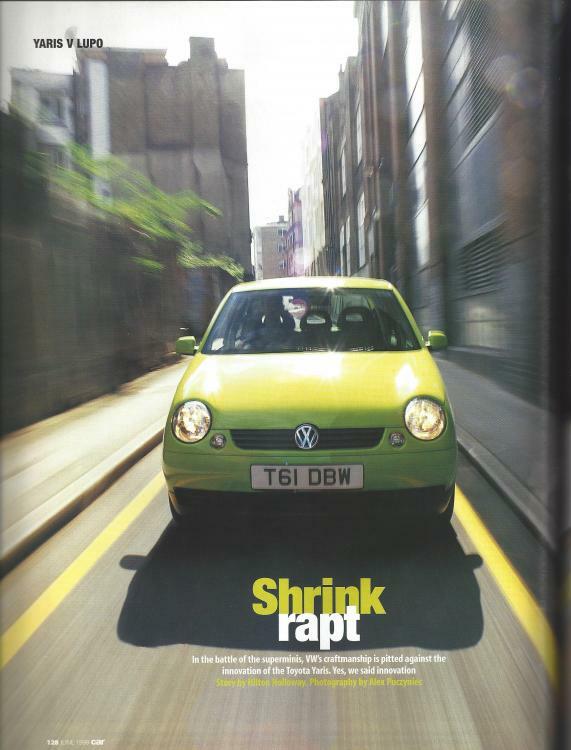 Featured in Vw driver Magazine Jan 2001. Has not been on the road since Jan 2015. So could be out there or could be scrapped? Added another one. Y938DWL. Should of done a completed listing search whilst doing this. How do you know where the cars were built, is it because of the red i's on the badges? 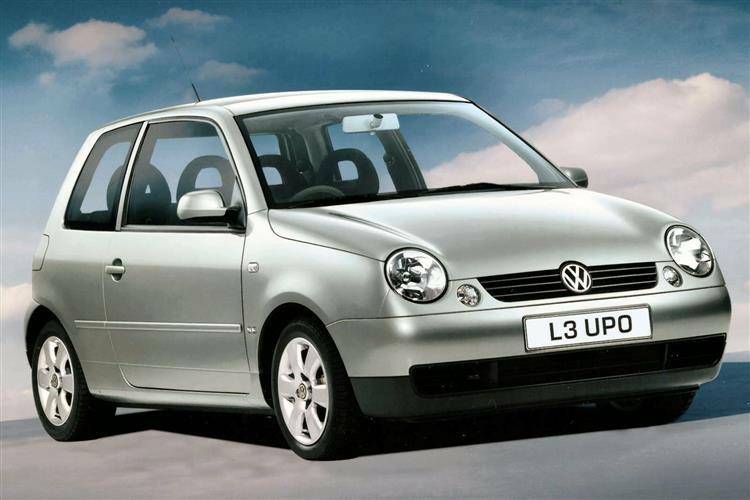 I have a tv recording on VHS somewhere of a Lupo that was tested on Driven in about 1999. I wonder if it was T63 DBW. Another one found. T65DBW. Found a picture on google/pin interest and knowing T63DBW was a press car made me think is this another one. Came up as having L6upo plate. 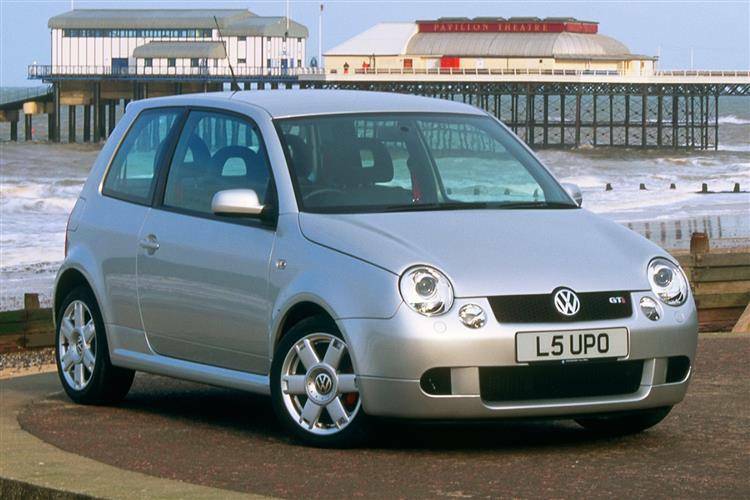 There's a guy near where i live with a gti with one of those Lupo plates. I'll see what it is, dunno if the cars got any famous history. Interesting. If its L3upo that would claires old one. 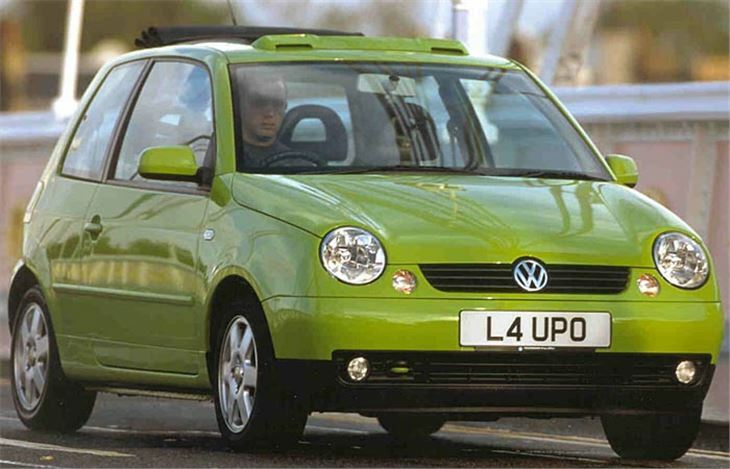 Also L4upo is still on a lupo. The others are not coming up as anything on dvla. But it does not mean they might of been press cars. The easy way is to do a check and see if they come back as a previous plate. Update on L4upo sport. It has been found. It still has a L*upo plate. But not the original. Bit of an update on T65DBW. Was a members on here. Isn't it annoying. When you find a article. But it has flash bounce back. Here is said article. 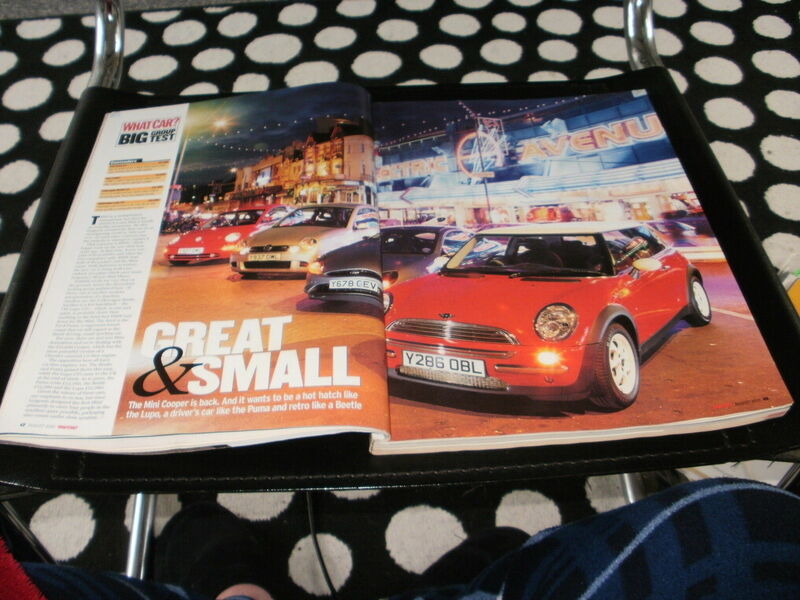 I have bought a couple magazines. I hope they yield more info. If anyone is good with photoshop and can remove the flash bounce back .Let me know. 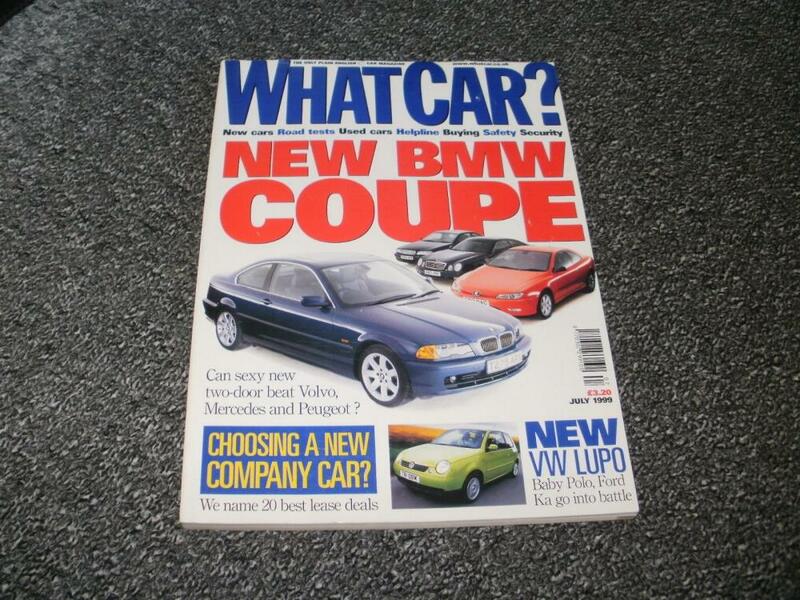 11th July 2001 it was published. I have X907NJO the Topgear one, its siting in the shed for a number of years now.